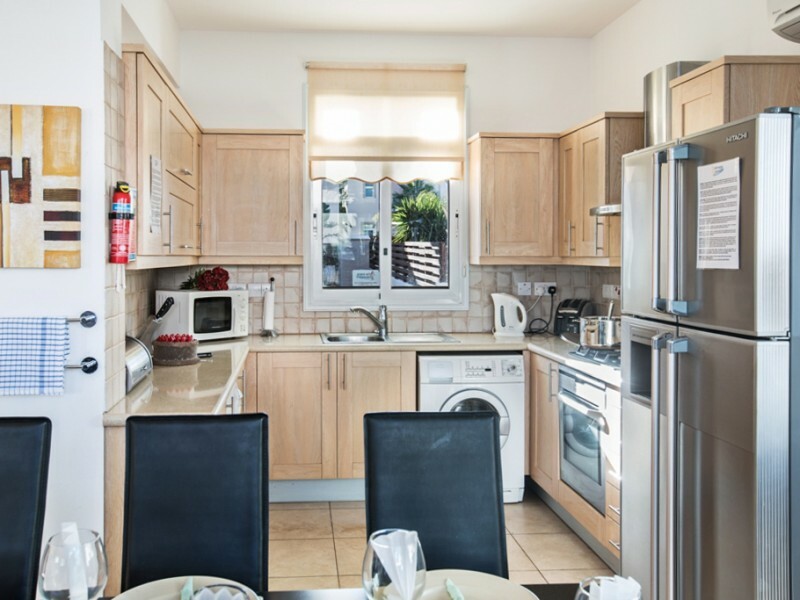 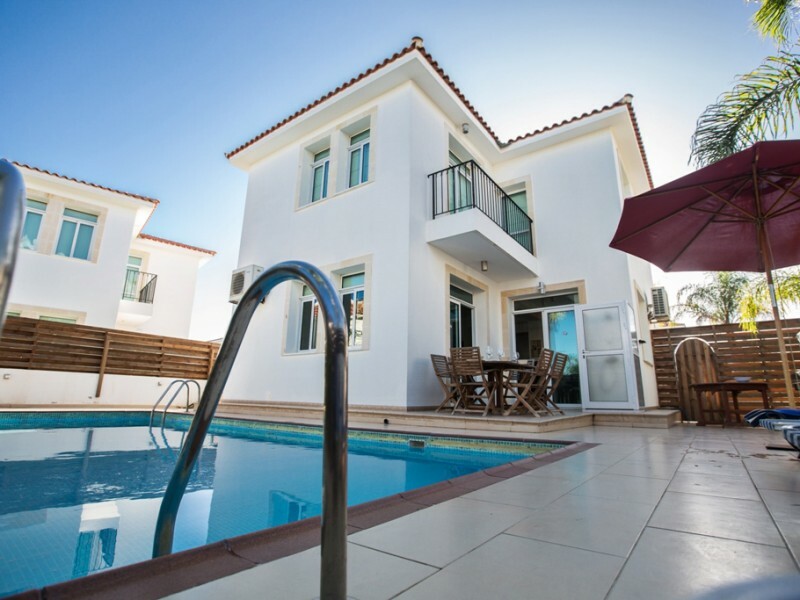 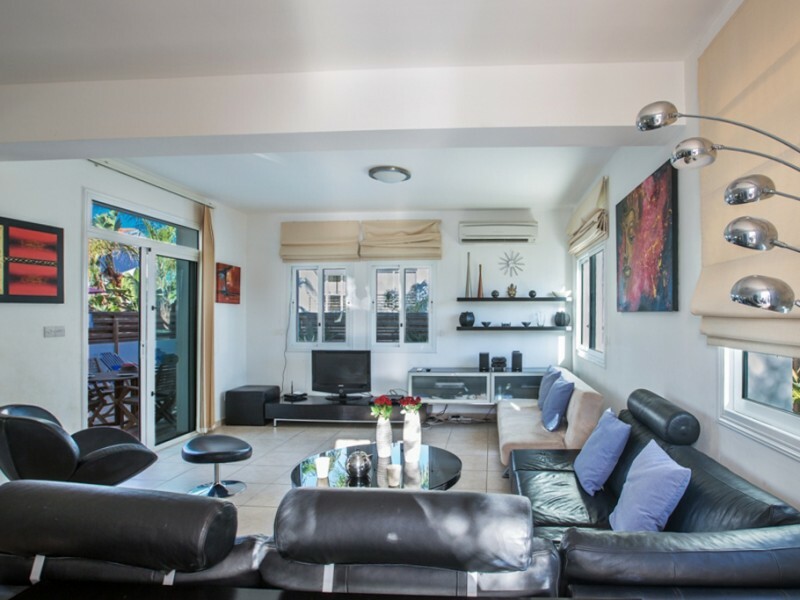 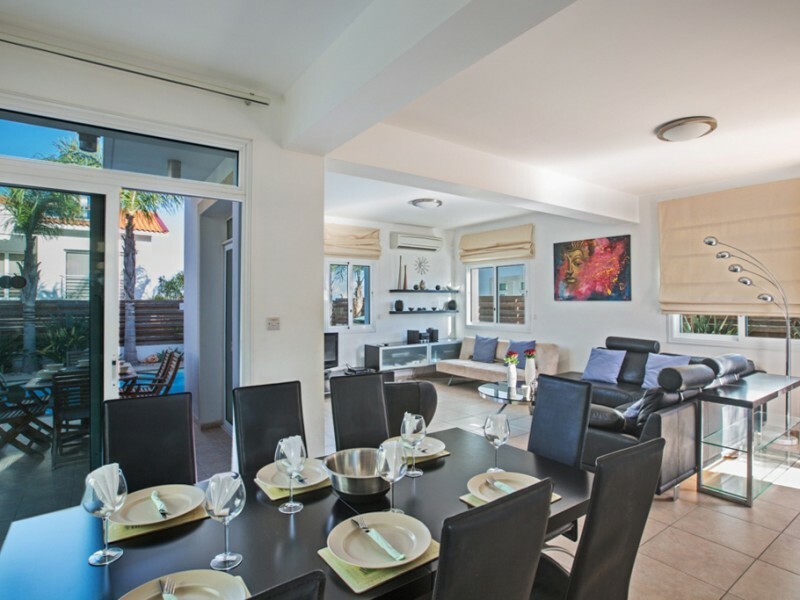 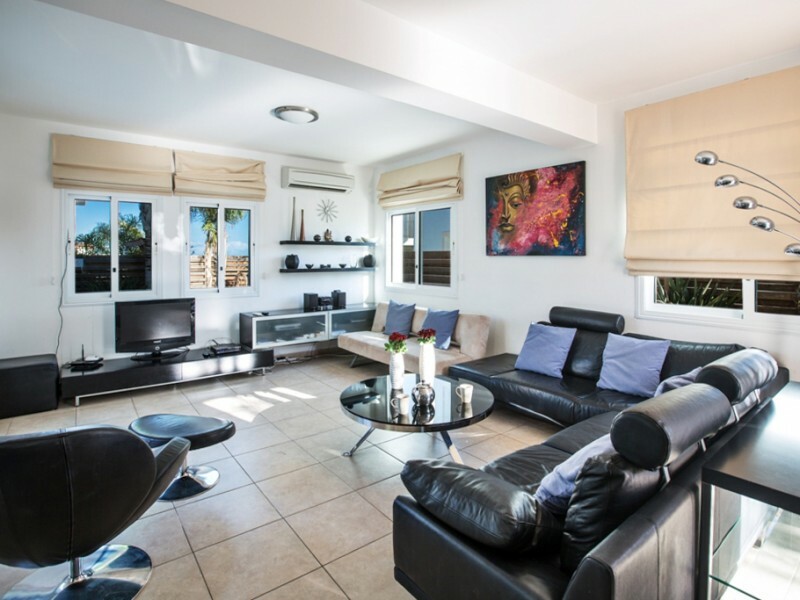 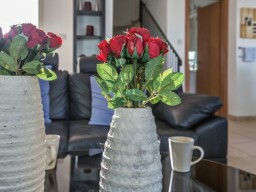 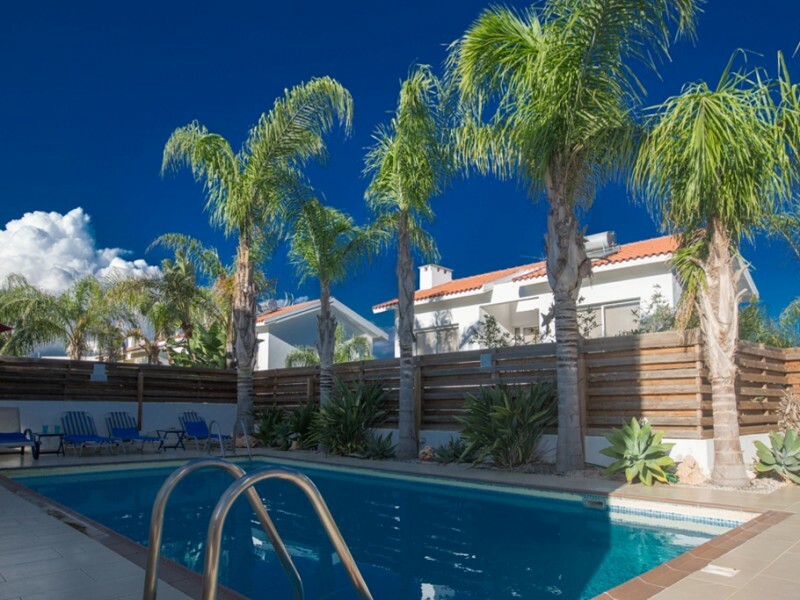 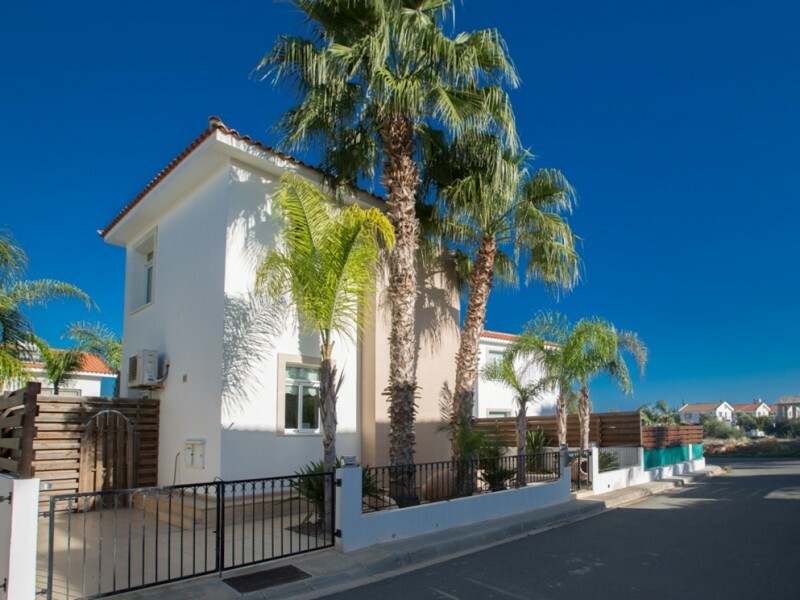 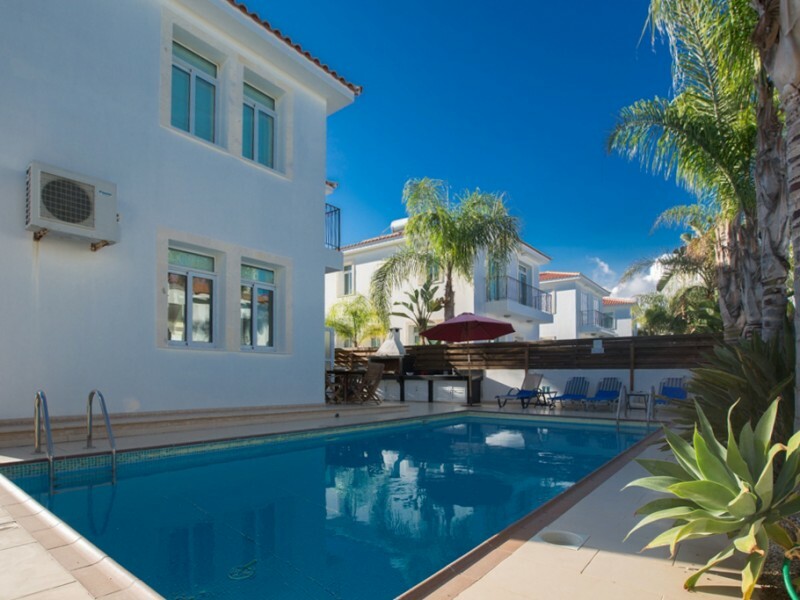 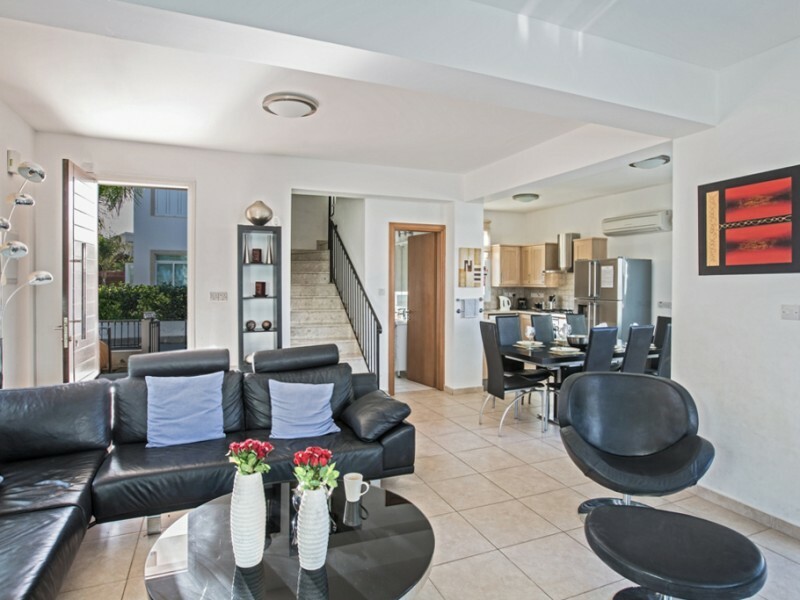 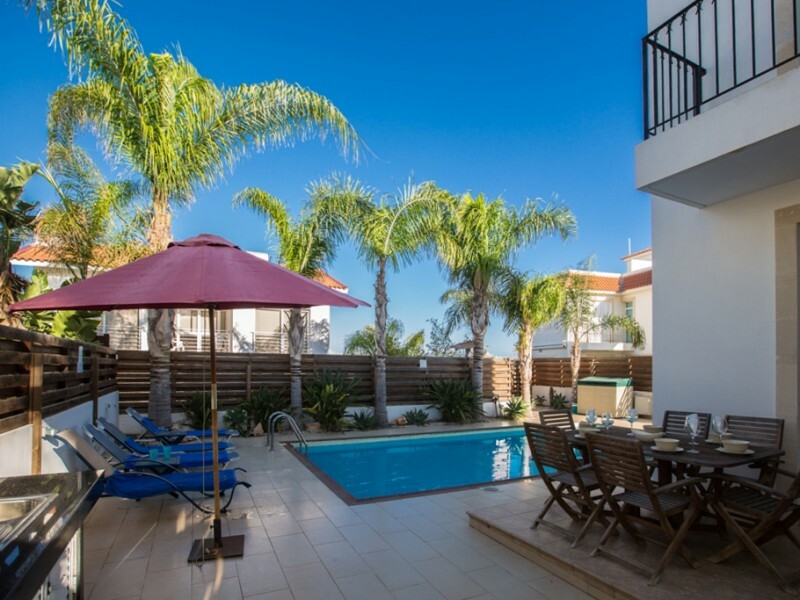 This modern 3 bedroom villa with private pool is located in a prime location, just a few seconds from the beach and 10 minutes walk from the center of Protaras Fig Tree Bay. 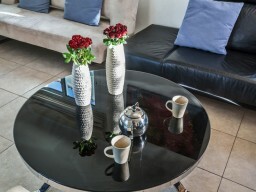 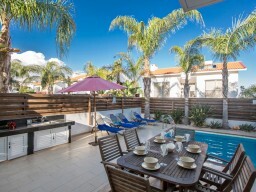 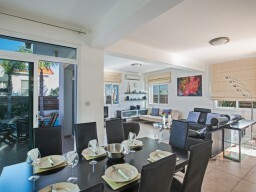 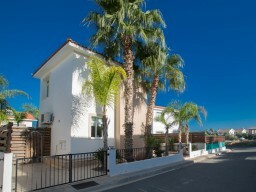 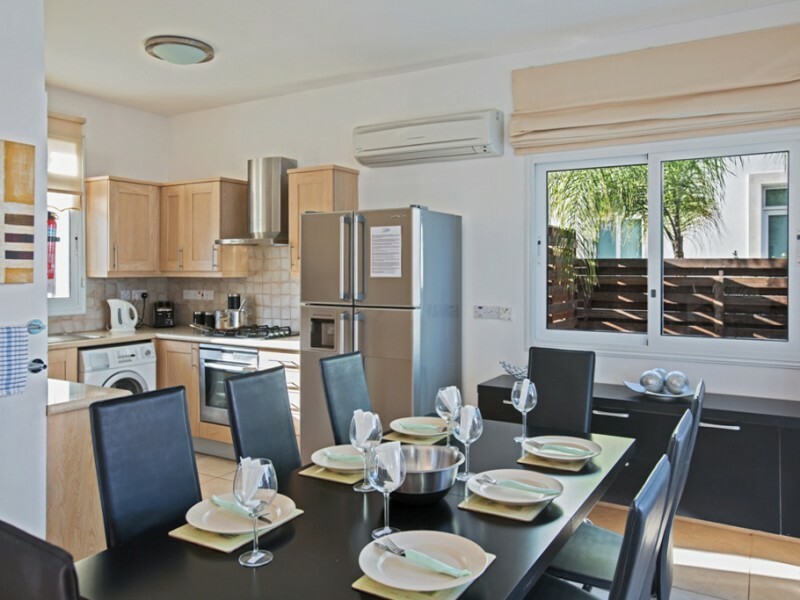 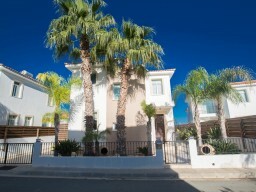 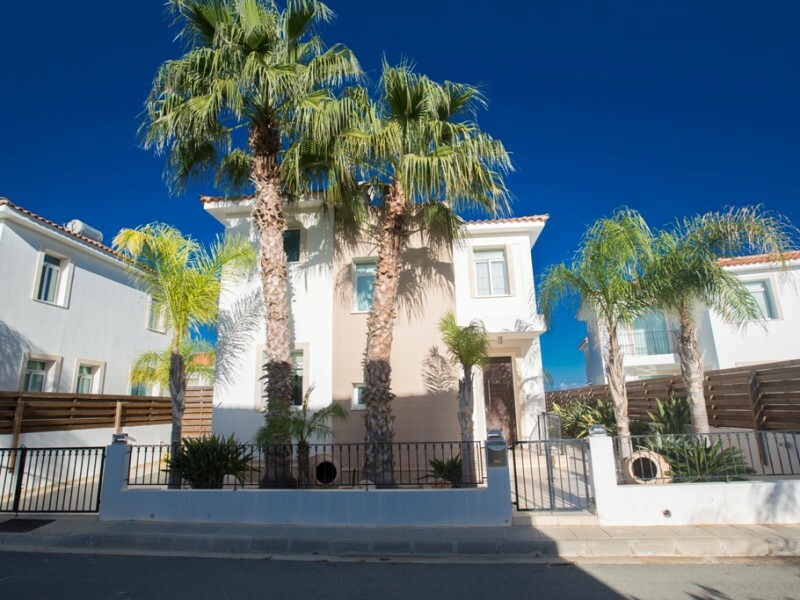 Inside, the villa is tastefully furnished in a contemporary style. On the ground floor there is an open plan living room, dining area with table for 8 people and a fully equipped kitchen. 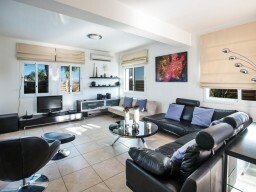 Widescreen TV, DVD-player, satellite TV, wireless Internet access and iPod / iPhone docking station. 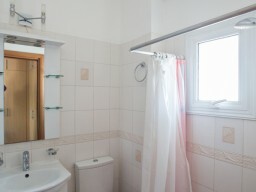 On the second floor there are 3 spacious bedrooms. 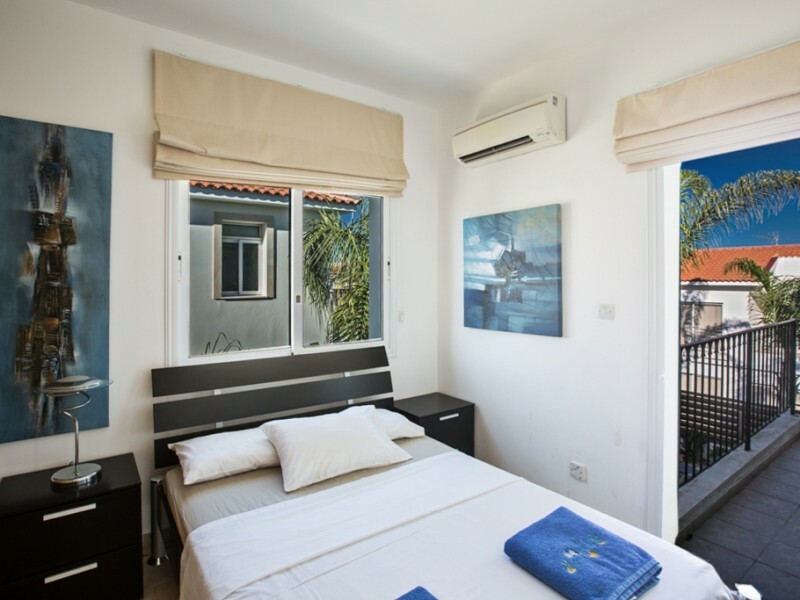 The master bedroom has a double bed and a private bathroom with a shower. The second bedroom has a double bed and the third bedroom has 2 single beds. 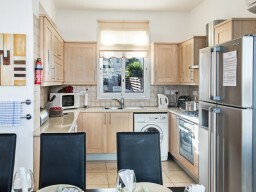 All bedrooms have fitted wardrobes and bedside tables. 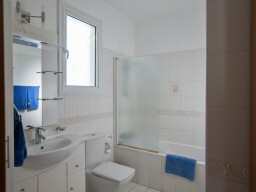 There is also a family bathroom with bath and shower. 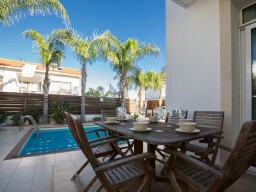 Outside, a sunny garden and pool provide ample space for sunbathing outdoors. 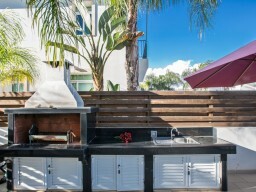 Built-in barbecue, patio and deck chairs are provided.